Prices shown for logo utility knives include your personalized message on one side. 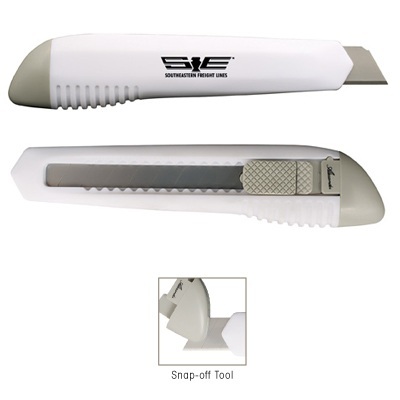 Two color imprints are also available on these promotional box cutters. Contact us for additional pricing. Our Wholesale prices make these promotional tools very affordable.